Anyone in the Los Angeles area knows how expensive rents are these days. 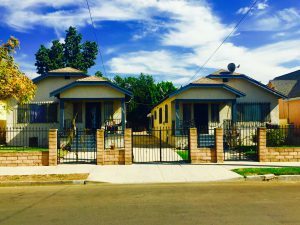 Wouldn’t it be great to own a duplex? You can live in one unit and rent out the other to help pay your mortgage! This is exactly the kind of property I am pleased to announce for sale. This is the first time in over 40 years the property has been on the market so it’s a rare opportunity. Introducing 2038 Gates Street in Lincoln Heights which shares the same zip code as Montecito Heights with property values soaring up to the millions. Call me to schedule a showing or come to the open house this Saturday 11-5-16 from 1-4pm. This one won’t last long. Duplex in Lincoln Heights. First time on the market in 40 years!